Learning Games : What is it about ? 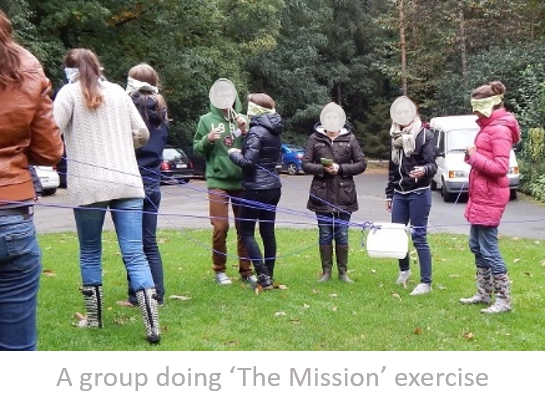 Experiential Games often are set up as team assignments that create a metaphor for what potentially can happen in reality on the shopfloor or in the organization. It can be done outdoors as well as indoors. Typically there is no direct content link with the situation at work. That is done on purpose to avoid that the discussion is focusing on content i.s.o. the process of working together. The idea is that you 'lure' people into their 'natural reflexes and behaviors' and make sure they cannot 'hide behind the content'. The aim is to create awareness of their behavior and the impact of their behavior on others (when they let their guard down and allow themselves to show real emotions) as a first step in behavior change. 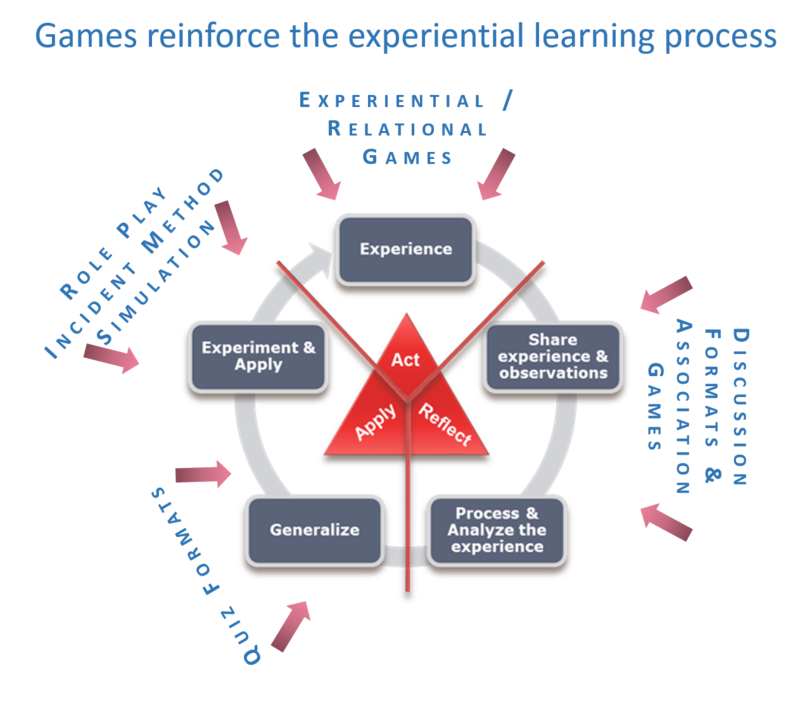 A game is replacing real experience (and is always a simplification of real life) but it allows the facilitator to focus on specific aspects and it creates a 'common experience' for a whole learning group and allows for peer-learning. Role-play, Critical Incident Method and Simulation are activities that on the one hand 'simulate' in a way reality, let people also play an actor role in that reality and are particularly. In a role-play you focus on the empathy to take on somebodies role in certain situation (allowing the real owner of that role to look at alternative ways of acting), in simulation you 'act' as yourself but in a 'simulated' context, which gives you room for experimentation. And what makes it particularly strong as a learning activity is that you can get multiple feedbacks and insights in how others would act in a certain situation. In that sense it allows for a 'try-out' for your actions in real live. Association games use often pictures or objects in order to trigger people's thoughts and feelings and it makes it easier for people to share these thoughts and feelings with others. It helps them to communicate things for which they cannot always find the appropriate words. 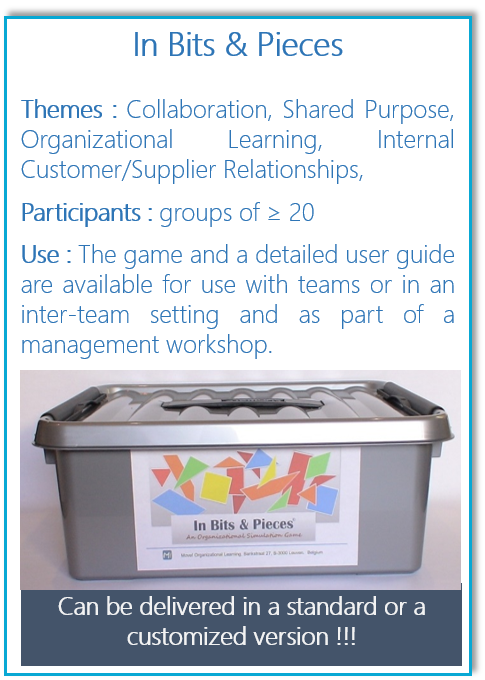 Quiz formats are used in training to help people apply their knowledge and give them feedback on that in a playful way, and to share knowledge with each other, help each other, etc... It can entail an element of competition (but this needs to be done carefully not harm the learning aspect of it). Learning Games : Why would you use it ? Make people aware of their behavior and the way they solve problems, collaborate, communicate with others. Help people be aware of the impact of their behavior on others and trigger the willingness to change the way they do things. Acceptance that their behavior has in some respects an unintended and counterproductive impact on others or on team performance. Learning Games : When to use it ? Learning Games : How can Move! support organizations ? Help you identify where (in formal training contexts but also in meetings, team activities, etc...) games could help to move your team forward. Train facilitators, trainers, training designers to develop educational games, to use them in their learning activities and to help them debrief those activities and games effectively. It's not about the game, in the first place. So make sure you define very well what kind of experience and / or observations the learners need to go through and what do you want them to learn by doing that? (and why do they need to learn that, what is the relationship with their real life situation ?). Then you can start developing and/or adapting your game (what do you tell them up front, what kind of instruction, what is the setting, what are the rules, etc...). Everything needs to be decided in function of the question : 'is this going to trigger the behavior, reactions, etc... they need for creating awareness and learning ? Will this allow us to observe the things we need to discuss in the debrief ? Prepare the debrief carefully, phrase a few open questions, what are the debrief steps, what do you want to look at and what feedback do you want to give, et... In most cases it is a good idea to let every participant reflect individually and write a few things down, before you start the plenary debrief. Some of the games are meant to be played by others and the facilitator (possibly an internal facilitator) is not necessarily involved in the design of the game. 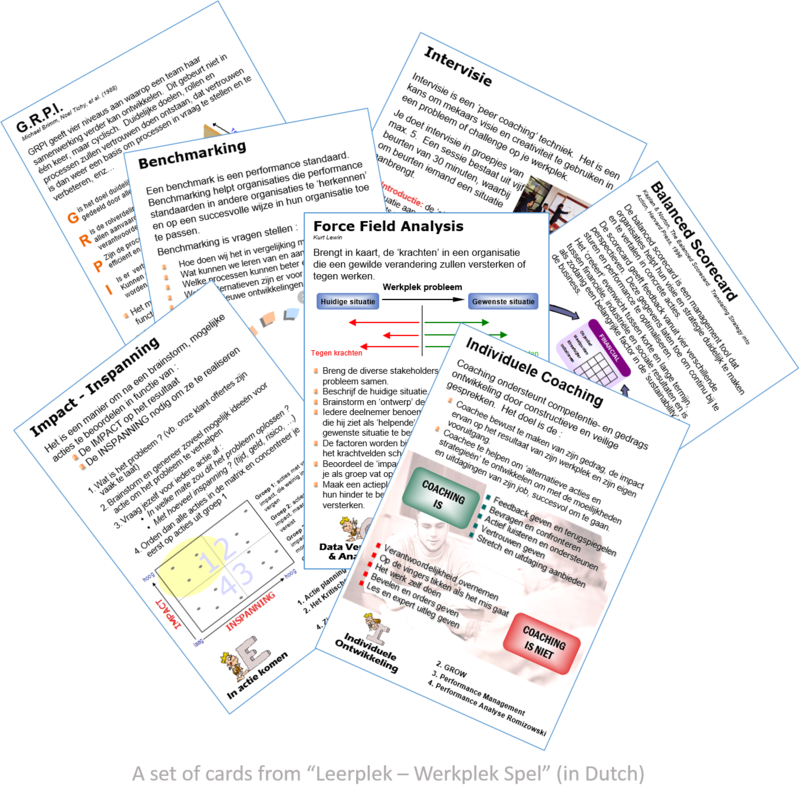 So, especially for boardgames and discussion games it is very important that you have written instructions, not only explaining the game, but also enough background around the issues that need to be discussed, why that is important, how it will affect the organization, etc... Otherwise it is impossible for a facilitator to focus on what is important during the debrief. 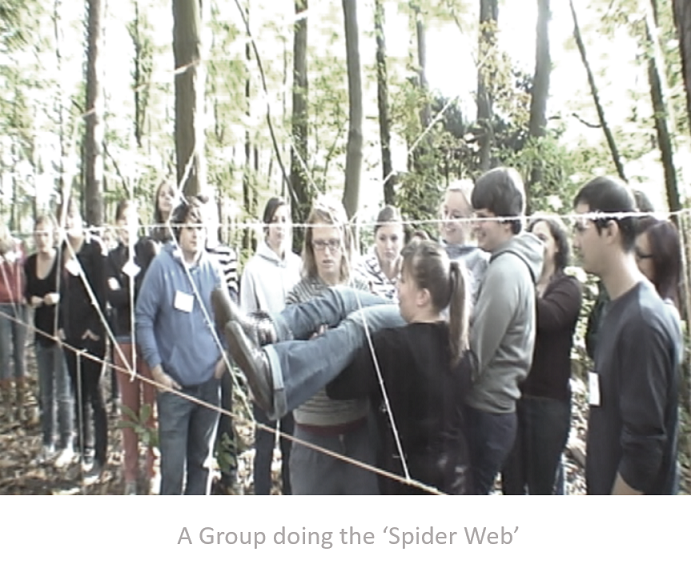 Clement Leemans (2012)., Engaging Experiential Learning Activities (not published). Nicholson, S. (2012). 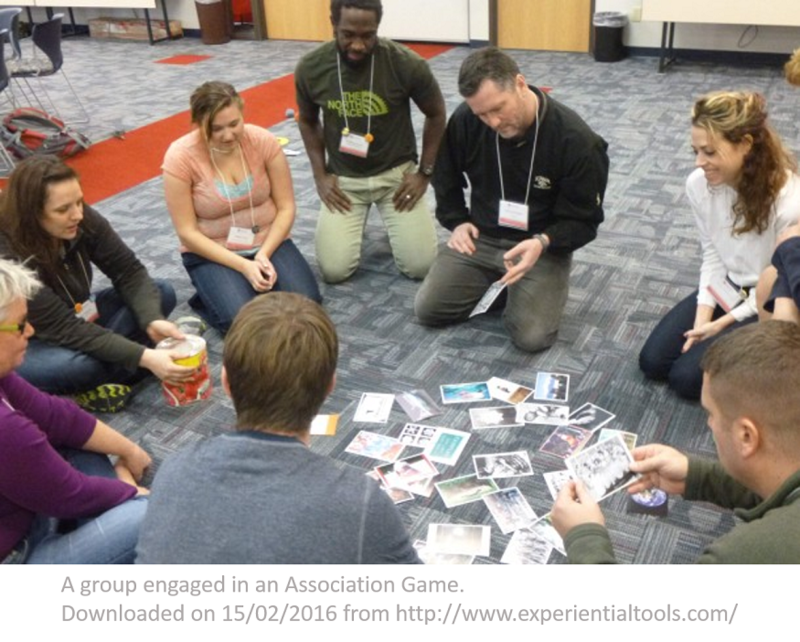 Completing the Experience: Debriefing in Experiential Educational Games. In the Proceedings of The 3rd International Conference on Society and Information Technologies. International Institute of Informatics and Systemics. 117-121. Ruth M. Fanning,and David M. Gaba., (2007) The Role of Debriefing in Simulation-Based Learning. Simulation in Healthcare. Vol. 2, No. 2. Johnson Pivec, Cynthia Renee, "Debriefing after Simulation: Guidelines for Faculty and Students" (2011).Master of Arts in Nursing Theses.Paper 14. Interested in Learning Games ?